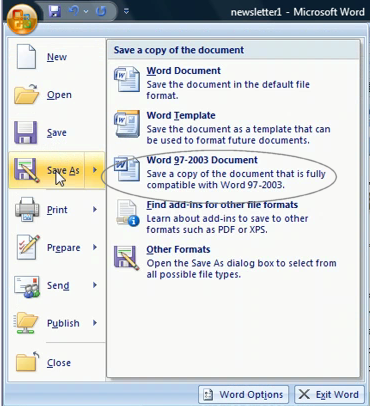 The Reporter does not care what version of Word is used for the Letters and Envelopes templates, but Word won't open a document saved from a newer version without a converter. There are a couple of ways to deal with Microsoft Word's incompatibility between different versions. 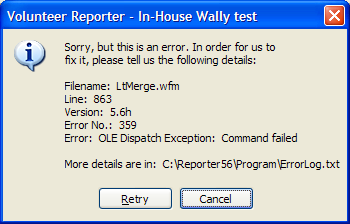 Close this error message which appears underneath the browser back in the Reporter. It won't appear again after the Word converter is installed. To use the Reporter's templates, you need to save the file type during the procedure when renaming a sample template to .doc, instead of the default .docx.